References to Aristotle’s notion of dialectic in contemporary argumentation theory, rhetoric of science and theory of controversies are conspicuous by there presence but also, sometimes, by their absence. Scholars working in argumentation theory often refer to Aristotle’s dialectic, and they do so in different ways; this is not surprising given the notoriously cryptic nature of Aristotle’s Topics, the work where Aristotle’s approach to dialectic is spelled out. Other scholars – most notably Nicholas Rescher and James Freeman – explore dialectical reasoning quite independently from any reference to Aristotle. In this paper, I would like to show that despite their emphasis on dialogue, contemporary argumentation theories – at least those explicitly referring to Aristotle – do not sufficiently distinguish the respective purposes of dialectic and rhetoric and fail to give an adequate epistemic account of dialectic. Quite surprisingly, as we shall see, the most Aristotelian approach to dialectic is James Freeman’s (2005), who does not explicitly refer to Aristotle. Aristotelian dialectic has been alternatively described as a means of rational persuasion, as a tool for testing claims to knowledge or for raising doubts about uncertain statements, and finally as an instrument for attaining knowledge and even reaching the first principles of the sciences (Sim 1999). The relationship between dialectic and rhetoric is particularly controversial; the opening enigmatic sentence of Aristotle’s Rhetoric – “rhetoric is the counterpart (‘antistrophos’) of dialectic” – has been, and still is widely commented on. Its meaning is obviously open to a variety of interpretations, each of which sheds a different light on the similarities and differences between dialectic and rhetoric. This lack of consensus might appear as a setback if one intends to unearth the real meaning of Aristotle’s work; however, the wealth of insights provided by these different analyses can be viewed as an advantage, if one is interested in the potential for further developments. Given this rich interpretative background, it is not surprising that the main scholars who have taken up the challenge of developing a dialectical and/or rhetorical approach to knowledge and argumentation view the art of dialectic in different ways. Whereas Chaim Perelman (1977) sees a dialectical debate as a particular implementation of rhetorical persuasion which involves no more than two interlocutors, both Frans van Eemeren & Rob Grootendorst (2004 ; henceforth E&G) and Douglas Walton (1998) link Aristotelian dialectic primarily to dialogue in the specific sense of a rule-bound exchange of questions and answers between two (or more) interlocutors. The same contrast exists between the rhetorical and the controversy-oriented approaches to the development of scientific knowledge. Whereas rhetorical approaches to science stress efficient and legitimate ways of creating conviction and furthering the acceptance of scientific claims (Prelli 1989; Gross 1990), controversy approaches focus on the epistemic importance of exchanging opposing views on a particular issue, and explore the rules and modalities of adversarial debates (Dascal 2008). Thus, both the theory of controversies and prominent approaches to argumentation theories (most notably E&G and Walton) develop the essential feature of dialectic as it was described by Aristotle, by setting it apart from both rhetoric and demonstration, as well as from its contemporary offshoot, informal logic: dialectic has to do primarily with the systematic and organized exchange of questions and answers between two interlocutors, rather than with the internal arrangement of arguments designed to support a claim, either absolutely (demonstration) or relatively to a given audience (rhetoric). According to Aristotle’s schematic description of a dialectical debate in the Topics, a questioner derives a conclusion from a series of premises which have been assented to by a qualified answerer. In so doing, he either refutes or establishes a thesis which solves a dialectical problem, which has the following form: “Is x p or not-p?”. Two of the main contemporary argumentation theorists – E&G and Walton –refer to Aristotle as an important source of inspiration. Douglas Walton understands dialogue in a loose sense as any rule-bound “conversation” between two or more partners: a dialogue is a “context or enveloping framework into which arguments are fitted so they can be judged as appropriate or not in that context ” (1998, p. 29). Dialogues can serve different purposes: persuasion dialogues, information seeking dialogues, negotiation dialogues, inquiry dialogues, eristic dialogues and deliberation dialogues. Each of them has specific normative constraints: only those argumentation moves are acceptable which can guarantee the attainment of the dialogue’s specific goal (critical discussion, information gathering, compromise, scientific inquiry, quarrel, decision-making). According to Walton, Aristotelian disputations are a “rigorous ” sub-species of his large category of “persuasion dialogues” : they are asymmetric, in the sense that only one of the two interlocutors is defending a thesis (ibid., p. 243). Arguments used in a persuasion dialogue have to be “relevant ”, i.e. they have to solve the “uncertainty” or “unsettledness ” of an issue (ibid., p. 42). Walton’s “rigorous ”, as opposed to “permissive ”, persuasion dialogues is similar to E&G’s “critical discussions ”. In their systematic work on the pragma-dialectic approach to argumentation E&G write: “For Aristotle, dialectics is about conducting a critical discussion that is dialectical because a systematic interaction takes place between moves for and against a particular thesis ” (2004, p. 43). Thus, unlike rhetoric, dialectic includes a “normative dimension ” : a difference of opinions can only be resolved “if a systematic discussion takes place between two parties who reasonably weigh up the arguments for and against the standpoints at issue ” (ibid. 50). Before analyzing the respective purposes of Walton’s persuasion dialogues and E&G’s critical discussions, I would like to explore how these two important and self-declared “dialectical ” approaches to argumentation theory relate to Aristotle, one of their avowed sources. In order to do so, I shall first analyze two crucial aspects of Aristotelian dialectic¬ – the nature of dialectical premises (the Greek ‘endoxa’) and the purpose of the dialectical exercise – and compare them to the same features in both Walton’s and E&G’s approaches. As it turns out, these two issues are tightly related to each other : dialectical premises express “reputable opinions ” precisely because the purpose of the dialectical exercise is to test and establish claims to knowledge, rather than to convince a specific audience or to reach an agreement on the acceptability of a claim. In this respect, Aristotle, unlike contemporary argumentation theorists, sharply distinguishes between dialectic and rhetoric, even though these two arts use similar argumentation schemes. According to Aristotle, a dialectical argument differs from a demonstrative one in virtue of its premises which he calls ‘endoxa’, a term which is most properly translated as “reputable opinions ”. ‘Endoxa’ are those opinions “which commend themselves to all or to the majority or to the wise – that is, to all of the wise or to the majority or to the most famous and distinguished of them ” (Topics, 100b22-23). Thus ‘endoxa’ are not just any widely accepted opinions, but are opinions which command belief in virtue of their being held by certain authoritative groups of people. This is clear if we consider their contrast class, ‘first principles’ (‘archai’), which “command belief through themselves and not through anything else ” (Topics, 100b, 18-19) and which for this reason constitute a necessary condition for scientific demonstration (‘epideixis’). ‘Endoxa’, therefore, are opinions which carry a certain amount of authority; it is precisely the authority of the people which hold them which makes them suitable premises for dialectical reasoning. This is why they are so carefully classified. In other words, what allows ‘endoxa’ to be used as the premises of dialectical reasoning is not simply the fact that they happen to be held by such and such a group of people. Rather, it is the authority which they have acquired by being held by such a distinguished group. Two pitfalls should be avoided. On the one hand, one should be wary of translating ‘endoxa’ with “probabilities ” as did Latin interpreters from Cicero onwards, as well as some contemporary interpreters. This is precisely because, as Jacques Brunschwig writes in his introduction to the French translation of the Topics, “the ‘endoxal’ character of an opinion or an idea is not a property which belongs to it in virtue of its intrinsic content, but rather a property which belongs to it by fact, insofar as it has real guarantors.” (Brunschwig 1967, p. CXIII, note 3). This implies that, contrary to a common interpretation, the epistemic value of ‘endoxa’ is independent of their relationship to the truth. Their truth – be it a likely, approximate, empirical, or knower-relative truth – is simply irrelevant to the role ‘endoxa’ are designed to play. As Brunschwig again claims, it may well be contingently true that ‘endoxa’ as reputable opinions are also the empirically most justified opinions we have, but “this coincidence does not erase the formal distinction between a statement that we accept because we find out empirically that it is true and a statement which is materially identical to the former, but that we accept for another reason, namely that we hear everybody say that it is true ” (Brunschwig 2000, p. 115). On the other hand, ‘endoxa’ must also be distinguished from “generally accepted premises”, unlike what Averroes famously holds. Indeed, ‘endoxa’ may well be “generally accepted premises” but don’t have to be so. Aristotle explicitly says that the opinions of the experts can be considered as valid ‘endoxa’ unless they conflict too sharply with the opinions of the majority, i.e. if they are not “paradoxical” (Topics, 104a11-12). In this sense, C.D.C. Reeve is right when he writes that “‘endoxa’ are deeply unproblematic beliefs – beliefs to which there is simply no worthwhile opposition of any sort ” (1998, p. 241). In any case, it is not the acceptance rate of ‘endoxa’ which is important, but the fact that this acceptance can be taken to be a sign of the likelihood that they will be conceded to in an asymmetric dialectical debate between a questioner and an answerer. 4. The limit of the line can only be a point (since it can neither be a plane nor a body, and there are only four items in the realm of dimensions) (2001, p. 34). Thus, paradoxically, a dialectical disputation in the Aristotelian sense is a communal rather than an adversarial enterprise: the answerer, who assents or withholds his assent to the premises put forward by the questioner, indirectly helps him to establish his claim. Aristotle hints at the communal aspect of a dialectical disputation in the 8th book of the Topics, where he writes that the questioner and the answerer have a common purpose (161a22; and 161a38-39). Unlike Medieval authors, both Alexander and Renaissance commentators of the Topics understand the common purpose of the two contenders in a dialectical disputation as the fact of testing the thesis at hand rather than the fact of conducting the disputation according to the relevant norms. Let’s see how Walton and E&G analyze the premises of a dialectical argument and define the purpose of the dialectical exchange accordingly. In order to describe a “persuasion dialogue” – the form of dialogue which more closely resembles an Aristotelian disputation – Walton takes over the notion of “commitment store” from Hamblin’s classic study on fallacies: an arguer has successfully resolved a conflict of opinions if he has succeeded in deriving his thesis from premises which are commitments of the questioner’s rival. Since commitments cannot be revised, once the critical discussion is over the rival will have exhausted all possible objections, criticisms and counterarguments. Commitments are provisionally accepted premises but, insofar as that they cannot be modified, they are not mere concessions, i.e. propositions accepted simply for the sake of arguments. But neither are they merely acceptable premises; this is why the premises used in Walton’s persuasive dialogues do not have to stand up to a normative standard, but represent the opinions an arguer happens to be committed to. It is indicative that Walton translates the Aristotelian term ‘endoxa’ as “generally accepted opinions ”, rather than as “acceptable opinions “. Accordingly, Walton holds that “the purpose of using an argument in a persuasion dialogue is for one party to rationally persuade the other party to become committed to the proposition that is the original party’s thesis ” (1998, p. 41) and thus acquire a presumption of truth by shifting the burden of proof. E&G, on the contrary, describe dialectical premises as “acceptable premises ” rather than as actually “accepted premises ”: “In a critical discussion, the parties involved in a difference of opinion attempt to resolve it by achieving agreement on the acceptability or unacceptability of the standpoint(s) involved through the conduct of a regulated exchange of views ” (2004, p. 58). However, the acceptability of claims put forward in the course of the dialectical exchange depends on pragmatic rather than on epistemic criteria. E&G stress “problem-validity ” and “inter-subjective validity ” as the criteria for the acceptability of the claims put forward in a discussion: problem-validity indicates that the content of the propositions exchanged must be relevant for resolving the critical discussion, while inter-subjective validity indicates that the rules of the discussion have commonly been agreed upon: “An argumentation may be regarded as acceptable in the following manner: the argumentation is an effective means of resolving a difference of opinion in accordance with the discussion rules acceptable to the parties involved ” (ibid., p. 16). The ten rules the pragma-dialectical approach describes for defining an ideal discussion are meta-rules which help characterize what the parties involved can reasonably consider as acceptable rules of discussion in any given context. As for the respective purposes of a “critical discussion” (E&G) and a “persuasive dialogue” (Walton), they are quite different. However, as we shall see, both approaches assume that the general purpose of discourse is to create conviction, and thus strive to integrate a measure of rhetorical persuasion into dialectic. According to E&G pragma-dialectical approach, the purpose of a critical discussion is squarely pragmatic in nature: resolving a conflict of opinion, albeit not by any means: fallacious arguments have to be excluded but are judged to be such only in relation to the argumentative context. Even though James Freeman (2006) has recently argued that one of the different types of critical discussion envisaged by pragma-dialectic can be an epistemically-oriented dialectical confrontation, this salvaging move would require us to suppose that the fact of establishing a claim in an epistemically sound way contributes to “resolving a conflict of opinions”, which is far from being the case. Thus, the pragma-dialectical approach does not eschew rhetoric altogether, but rather integrates it into critical discussions as “strategical maneuvering”: here “the pursuit of dialectical objectives and the realization of rhetorical aims can go well together ” (F. van Eemeren and B. Garssen 2008, p. 11). This shows that the overall purpose of critical discussions is to establish claims which are “acceptable to all parties involved ”, and that the reasonable constraints put on the organization of the discussion serve the purpose of increasing the chance that a lasting acceptability will be reached. As for Walton’s dialog theory, the main purpose of “persuasive dialogues ” is for each participant to acquire a presumption of truth by shifting the burden of proof in one’s favor. One can only realize this purpose, however, relatively to a specific opponent: “The purpose of using an argument in a persuasion dialogue is for one party to rationally persuade the other party to become committed to the proposition that is the original party’s thesis ” (1998, p. 41; my emphasis). This is consistent with the fact that Walton considers the relationship between dialectic and rhetoric to be quite close : “It needs to be seen that rhetoric is a necessary part of dialectic and that dialectic can also be an extremely useful part of rhetoric ”. Rhetoric is based on loose argumentation structures while dialectic is a “powerful new form of applied logic that can be applied to the interpretation and analysis of argumentation in natural language discourse ” (2007, p. 45). Both deal with effective persuasion, but only dialectic deals with rational persuasion. In a recent work (2007) Walton tries to respond to the charge of dissociating dialogue from the truth as an epistemic worthy objective (H. Siegel and J. Biro 2008), and analyzes the rationality of the persuasion brought about by dialogue along two dimensions: standard of evidence and depth. By conducting a critical discussion, the balance of evidence is progressively shifted on one side, and the quality of the discussion – the number and nature of the objections and their responses – shows which of the two positions is more “truthlikely ”. Since Walton also maintains that the purpose of persuasive dialogues is to gain a “presumption” of truth, he indirectly equates the two criteria for judging the result of a critical discussion: the interlocutor who has gained the presumption of truth for his hypothesis also holds a position which is more truthlikely than the one held by his opponent. I think this is a mistake: whereas presumption is a dialectical notion related to burden of proof, “truthlikeness” supposes the existence of truth and the possibility of measuring the distance between the truth and the presumptive position reached. A dialectical discussion, however, cannot provide such a measure. What Walton might maintain – but does not do so – is that a persuasive dialogue could allow us to establish a “balance of truth”, and to evaluate the relative weight of the arguments brought forth on both sides of a controversial issue. This position would be more in keeping with his mildly skeptical epistemological stance, than the affirmation of the truthlikeness of a dialectical conclusion (2007, p. 129). By contrast, as we shall see, the notion of the “depth” of a discussion achieved in the course of a persuasive dialogue is far more promising for understanding the epistemic value of dialectic. 3) internal plausibility (simplicity, the ‘normal’). In general “we shall be arguing (..) that principles of presumption connect beliefs with the sources that generate those beliefs, as a prime factor in determining whether there is a presumption in favor of a belief ” (ibid., p.42). Presumption for beliefs holds if there is a presumption of warrant for the corresponding belief generating mechanisms. Thus, Freeman’s notion of presumption is a far more objective notion than Walton’s although it does not imply any degree of approximation to the truth. Although, as we have said, Aristotle’s notion of dialectic has been interpreted in widely differing ways, an appropriate analysis of ‘endoxa’ – the premises of a dialectical disputation – allows us to suggest that in a dialectical disputation the questioner not only puts his thesis to the test but also proves it in a qualified sense, i.e. not absolutely but to the answerer who denies it. In that sense, he succeeds in shifting the burden of proof and thus in establishing his thesis, at least provisionally. However, because of the authoritative nature of the kind of warrant ‘endoxatic’ premises, the conclusion is more than contextually and pragmatically justified. agents. If this is the case, then the opinions they accept can be considered to be objectively acceptable. As a result, the conclusion of a dialectical reasoning conducted through these objectively acceptable premises, is justified an epistemically, and not just rhetorically, justified conclusion. I believe that this was Aristotle’s assumption given the important role that he attributes to dialectic “for reaching the principles of each science” (Topics, I.2). At the very least, Freeman’s account of dialectical reasoning is perfectly consistent with Aristotle’s, and even renders it more plausible by giving a thorough epistemic analysis of the reasons which make dialectical premises “reputable”, and thus explains why dialectical conclusions may be well-tested. Thus, in an interesting twist, a contemporary author carries Aristotle’s project of dialectic forward without intending to do so, whereas other authors who explicitly refer to him, pursue a different goal, more consonant with Aristotle’s stated aim in the Rhetoric. But what is the epistemic status of dialectical conclusions? How can they possibly be more justified than the objectively acceptable premises from which they are derived? Two sets of considerations are relevant here. Firstly, unlike Walton, I believe that the notion of relative closeness to the truth (“truthlikeness”) cannot account for the epistemic virtues of dialectical reasoning. Rather, it is the iterative process of testing and criticism provided by a dialectical exchange which explains how its conclusions can teach us something new. Indeed, dialectical exchanges strengthen the intrinsic plausibility of a claim, rather than its objective probability. Whereas probability presupposes a measurable relationship to the truth, plausibility indicates our cognitive inclination towards a proposition, which is liable to increase through the dialectical process. Even though the Aristotelian tradition of dialectic is replete with claims that a dialectical disputation brings us closer to the truth, we can totally salvage the epistemic value of dialectic without getting entangled in the difficult metaphysical issues surrounding the existence of, and approximation to, the truth. Instead, the dialectical notion of presumption of truth will suffice, if we acquire it on the basis of objectively acceptable premises and at the end of an iterative process of testing through questions and answers. Nicolas Rescher has best described the epistemological merits of dialectic as a “heuristic method of inquiry”: “The logical structure of this justificatory process (..) points towards a cyclic process of revalidation and cognitive upgrading in the course of which presumptive theses used as inputs for the inquiry procedure come to acquire by gradual stages an enhanced epistemic status” (1977, pp. 56-57). Secondly, however, I think that Walton’s notion of the “depth of dialogue”, which he develops in a recent work (2007), is a very promising alternative to “truthlikeness” and appropriately describes the epistemic value of the dialectical exercise. Indeed, according to Walton, persuasive dialogues may have a maieutical function and thus increase the “depth” of the critical discussion on a given issue: “There are two benefits to such a discussion. One is the refinement of one’s own view, making it not only more sophisticated, but based on better reasons supporting it. The other is the increased capability to understand and appreciate the opponent’s point of view” (Walton 2007, p. 100). It is unclear whether according to Walton increasing the depth of dialogue is positively related to the truthlikeness of dialectical conclusion. For my part, I agree with Aristotelian commentators from Albert the Great in the 12th century to Agostino Nifo in the 16th century, who maintain that the dialectical exercise can best be seen as an indirect aid to the search for the truth: it reinforces one’s position when all relevant objections have been answered to, and builds a habit (an Aristotelian “acquired disposition”) which enables us to recognize the truth when we are faced with it. Traditions of thought may be considered as “structured potential for change ” (Shils 1981). Thus, revisiting contemporary approaches to argumentation theory in the light of the Aristotelian tradition of dialectic does not only have an historical interest. If rightly understood – especially in the light of the tradition that it has initiated – Aristotle’s understanding of dialectic can serve as a useful repository of positive suggestions which are worth pursuing if we want to explore the vast potential of dialectical reasoning. Alexander of Aphrodisias (2001). On Aristotle’s Topics 1 (annotated translation of the first book of Aristotle’s Topics by J. M. Van Ophuijsen). London: Duckworth. Aristote (1967). Les Topiques, livres I-IV (translation, introduction and notes by Jacques Brunschwig). Paris: Les Belles Lettres. Aristotle (1960). Topics (translated by E.S. Forster). Cambridge, Mass: Harvard University Press (Loeb Classical Library). Brunschwig, Jacques (2000). Dialectique et philosophie chez Aristote, à nouveau. In N. Cordero (Ed. ), Ontologie et dialogue. Mélanges en hommage à Pierre Aubenque (pp. 107-130). Paris: Vrin. Dascal, M. (2008). Dichotomies and types of debate. In F. H. van Eemeren & B. Garssen (Eds. ), Controversy and confrontation (pp. 27-50). Amsterdam: John Benjamins. Eemeren, F. H., & Grootendorst, R. (2004). 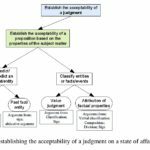 A systematic theory of argumentation. Cambridge: Cambridge University Press. Eemeren, F.H. van, & B. Garssen (2008). Controversy and confrontation in argumentative discourse. In F. H. van Eemeren & B. Garssen (Eds. ), Controversy and Confrontation (pp. 1-26). Amsterdam: John Benjamins. Freeman, J. (2005). Acceptable premises. An epistemic approach to an informal logic problem. Cambridge: Cambridge University Press. Freeman, J. (2006). A place for informal logic within pragma-dialectic. In P. Houtlosser & A. van Rees (Eds. ), (pp. 63-74). Gross, Alan (1990). The rhetoric of science. Cambridge: Harvard University Press. Houtlosser, P., & van Rees, A. (Eds.). (2006). Considering pragma-dialectics. Mahwah, N.J.: Lawrence Erlbaum Associates Publishers. Perelman, Ch. (1977). L’empire rhétorique. Paris: Vrin (English translation: The realm of rhetoric. Notre Dame: University of Notre Dame Press. 1982). Prelli, L. J. (1989). A Rhetoric of Science: Inventing Scientific Discourse. Columbia: University of South Carolina Press. Reeve, C.D.C. (1998). Dialectic and philosophy in Aristotle. In Jyll Gentzler (Ed. ), Method in Ancient philosophy (pp. 227-252). Oxford: at the Clarendon Press. Rescher, N. (1977). Dialectics. A controversy-oriented approach to the theory of knowledge. Albany: SUNY Press. Shils, E. (1981). Tradition. London: Faber and Faber. Siegel, H., & Biro, J. (2008). Rationality, reasonableness and critical rationalism: problems with the pragma-dialectical view. Argumentation 22/2, 191-203. Sim, M. (ed.) (1999). From puzzles to principles? Essays on Aristotle’s dialectic. Lanham, MD: Lexington books. Walton, D. (1998). The new dialectic. Conversational contexts of argument. Toronto: University of Toronto Press. Walton, D. (2007). Dialogue Theory for Critical Argumentation. Amsterdam: John Benjamins. What is 18 + 6 ? ISSA Proceedings 2006 – Who Is Afraid Of Emotion In Argument?